LUVERNE MegaStep wheel-to-wheel running boards give you the best of both worlds with a ready-to-work construction and the stylish of popular nerf bars. They feature high-traction rubber treads, a sleek finish and a non-corrosive build -- all to give you dependable footing whether youre headed for work or play. 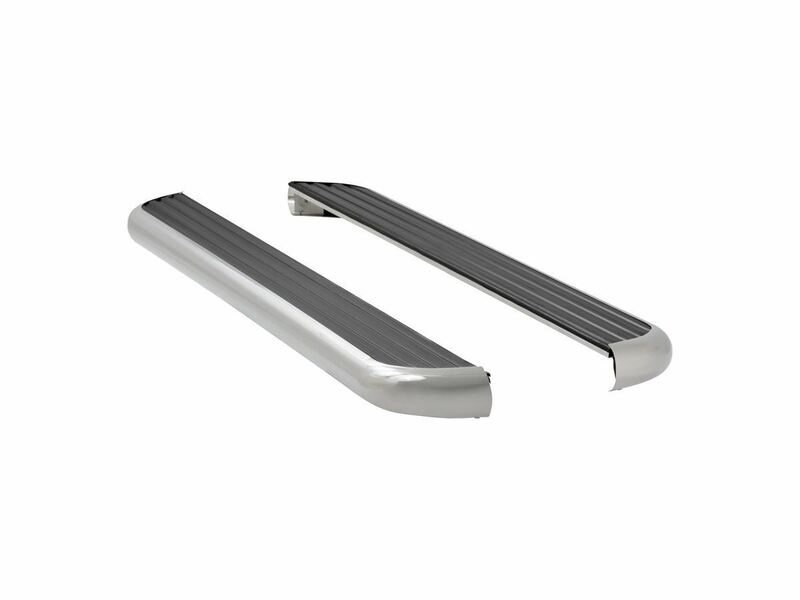 MegaStep wheel-to-wheel running boards are uniquely designed with extra length on the rear of the boards, reaching all the way to the back wheels. This provides a convenient and secure step for reaching into the truck bed and accessing the crossover truck tool box, headache rack or 5th wheel hitch. 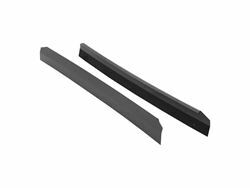 The entire length of the running boards is covered with a non-skid rubber tread for enhanced safety, even in wet, rainy conditions. Unlike plastic treads, rubber offers better grip for your boots or shoes. 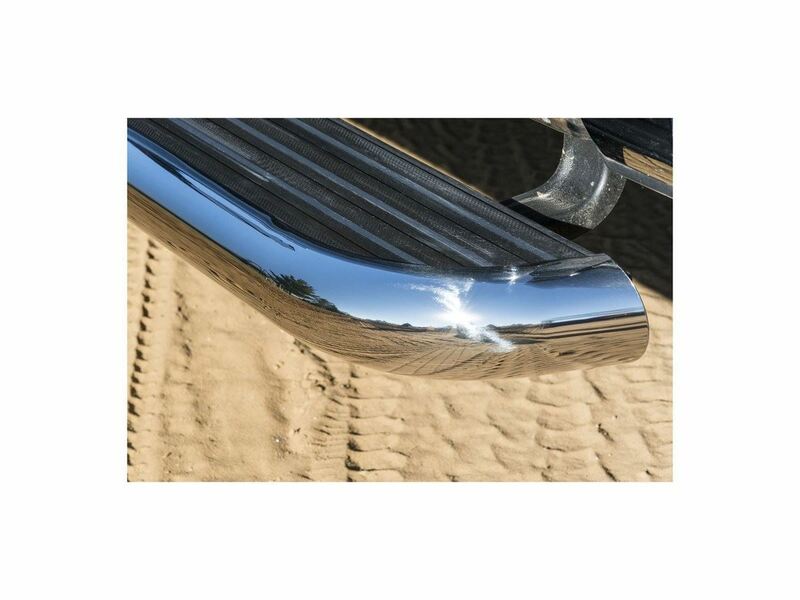 The base of MegaStep wheel-to-wheel running boards is an extruded aluminum alloy, providing excellent strength, while remaining lightweight and completely rust-free. 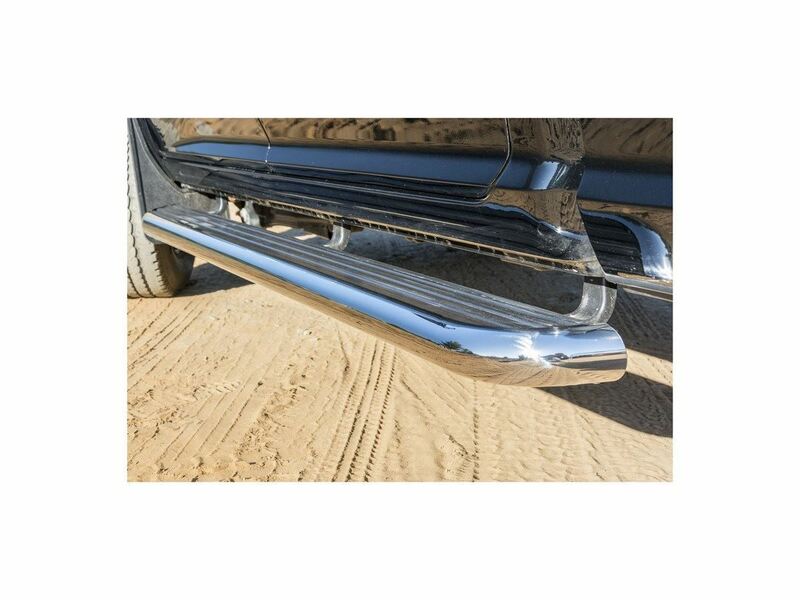 To give these truck side steps a touch of style, they are fitted with a polished stainless steel trim that contours around the boards and gives them a look similar to popular nerf bars. 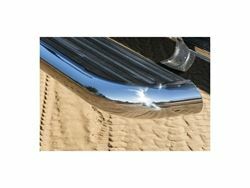 The trim piece is polished to a mirror-like shine and easily withstands rain, snow, dirt and more. To make installation fast, easy and secure, LUVERNE MegaStep wheel-to-wheel steps are made vehicle-specific. 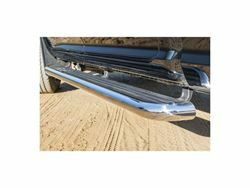 Each set has a specific board length and vehicle-specific brackets, providing a custom fit for each unique truck. 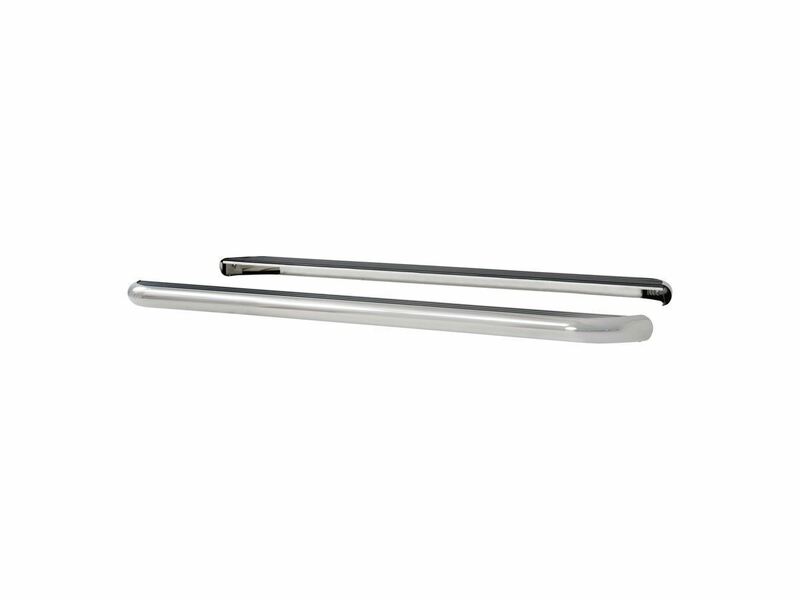 The brackets install using pre-existing mounting points to eliminate difficult modifications, and the running boards can be positioned inward, outward, forward or backward to suit personal preferences. 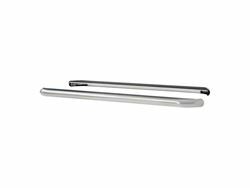 This particular set of MegaStep wheel-to-wheel running boards is designed for specific years of the Dodge Ram 1500, 2500 and 3500 (see application information to verify fitment; brackets included but shipped separately).